It impresses inspectors, promotes healthy lifestyles, meets many Science learning objectives, and ticks PSHCE boxes – and everyone can achieve. 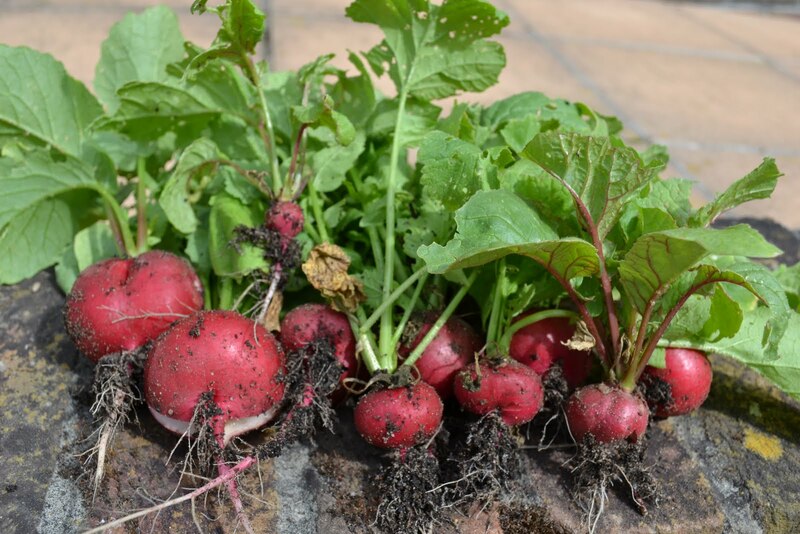 This September, why not take up some of that surplus turf and lay out garden plots? When a ten-year-old writes a story, he or she might be very proud of it, and we might indeed say it is a great story, and tell them why. But it will not be of the standard that a university student could write – how could it be? We acknowledge it on its own terms. Likewise when they compose a piece of music, or sketch a still life, we judge it and praise it as being of a good standard for that child, for that age. Always, it seems, our acknowledgment of primary children’s efforts is de haut en bas. But just imagine if their stories, music and drawings were of such a high standard that when we gave them feedback, we would have to evaluate their product as if they were adults. 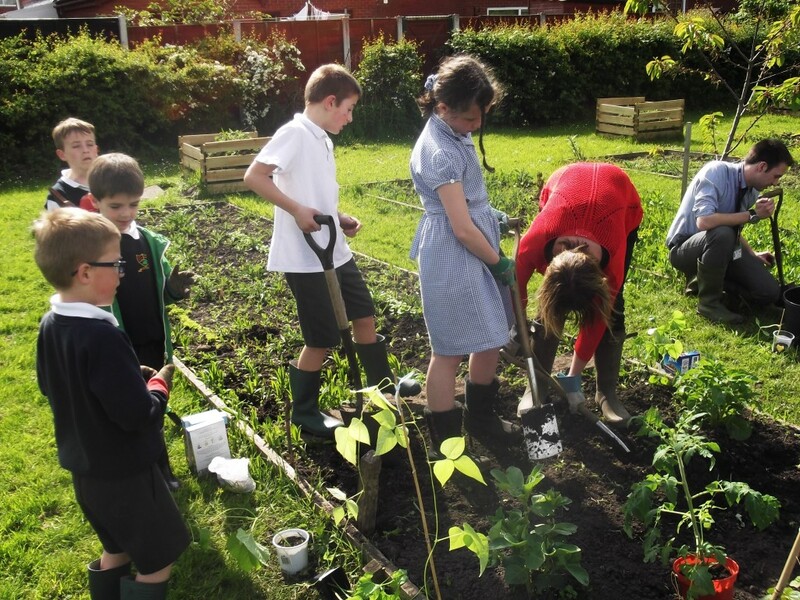 At my school, gardening is not a lunchtime or after-school club, as at many schools, but is a timetabled part of the curriculum. It was not an easy decision to make – after all, what other part of the curriculum would you give up in order to accommodate what many would see as a hobby? – but I have never regretted it. Many of the skills we want the children to develop are addressed by gardening. There are planning and logistics – the children have to decide what they are going to plant, where and when. If they plant lettuces here, what sort of gap has to be left before planting a row of radishes? What are the optimum times for succession planting? 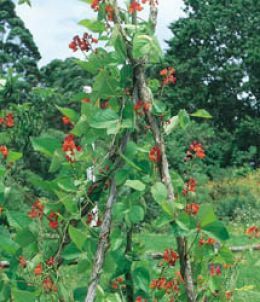 Social skills are encouraged by gardening, because the children have to collaborate with their plot-mates. Indeed, in my school we don’t even allocate the plots: the children negotiate with one another for their choices at the beginning of a new ‘gardening’ year (which runs from one October to the next) and the pupil-run Garden Council inform us of who is to tend which plot. As we have been doing this for a number of years, the children tend to educate one another in horticultural techniques – we encourage groups that comprise children from a range of school years so that experience cascades to a new generation. 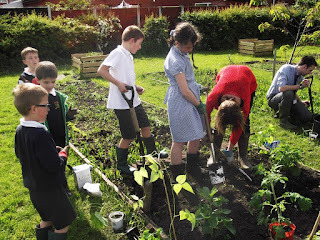 Of course the children need guidance, and it is essential to have knowledgeable, experienced gardeners on the staff - my school is fortunate in that respect, and sometimes garden enthusiasts on the parent body come along to advise and help. The pupils aren’t always getting their hands dirty and knees muddy, as we also have occasional classroom sessions, where we give the children advice on what to grow, and relate what they are doing to the science of life cycles, ecosystems and photosynthesis. We don’t do gardening for the entire year – it’s only timetabled during the first half of the autumn term, and then again from about March onwards, and one has to be flexible when the weather is inclement. But on or off timetable, it is remarkable how often the children ask to spend their break-times and lunch-times on their plots. 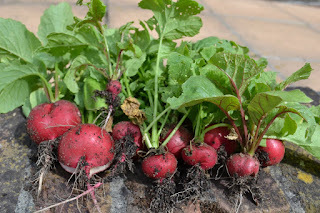 This is because they can all succeed (I really mean all – one of our most successful gardeners of recent years was a statemented child who was disapplied from SATS) – and they reap plenty of healthy food that they can proudly take home, and, hopefully, eat with their families – the most popular food crops are lettuce, spinach, potatoes, radishes, runner beans, broad beans and strawberries. And if you’re not convinced by the Science and PSHCE links, or by the healthy eating that is promoted, or by the outdoor lifestyle, or by the possibly life-long enthusiasm you will have engendered – maybe you will be convinced by the inspectors. In their last visit to us they expressed themselves deeply impressed by the way our garden initiative contributed to so many aspects of the academic and social needs of the pupils.